The team behind the popular Santa Fe restaurants in Tivoli and Kingston are bringing their Mexican cuisine and margaritas to Woodstock’s one-year-old Hotel Dylan this fall. The new Santa Fe Woodstock is tentatively scheduled to open the first weekend in October at the corner of Route 28 and Maverick Road, partner Annie Demosthenes said today, declining to divulge more details. You can look forward the same fresh and delicious menu items that you’ve come to love in Tivoli and Kingston; however, we are working on a few additional entrees that we believe you’ll love just as much – juicy Mexican Burgers, more vegan/vegetarian options and more! 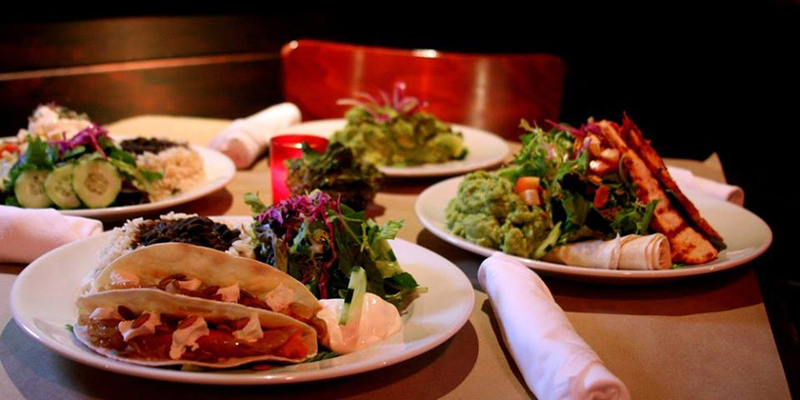 ​At Santa Fe Woodstock you can enjoy Tacos & Tequila Thursdays with taco and margaritas specials all night long! The 6,500-square-foot restaurant at the 11-room hotel includes a 130-seat dining room, a bar and an upper-level space for catered events and live music, according to a June 2014 article in the New York Post. The hotel, which is owned by Paul Covello and was designed by Bob and Cortney Novogratz, has become something of a media darling in its first year. Its turntable-stocked, musical-theme-named rooms have garnered mentions in the New York Times and Travel + Leisure. New York State Liquor Authority records show that the restaurant’s full bar permit was applied for Aug. 19; it is pending. According to the SLA, the partners in the new venture include Demosthenes and her husband Jim, along with David Weiss, who founded the original Santa Fe in Tivoli, in Dutchess County, 25 years ago. The trio opened Santa Fe Uptown in Kingston’s Stockade District in 2012. The menus at both of the existing restaurants reflect traditional dishes such as guacamole and plantain starters, quesadillas, tacos and burritos. The Kingston restaurant, at 11 Main St. in the old City Hotel, sports a large U-shaped bar that specializes in tequila. Santa Fe is a great place! My friends and I enjoyed many meals and Margaritas. Looking forward to the place on rte 28. See you there! We’ve been watching the work going on at that old horrible Black Bear restaurant or whatever it was called so we knew something good must be coming. This is the most exciting thing that has happened along the 28 corridor in a long time. The Santa Fe in Kingston is one of our favorite places. We just wish they were open for lunch other weekdays besides Friday. Really hope that the new location will have better hours during the week since they don’t have the parking mess that exists in Uptown. We will probably become regulars during our trips between Margaretville and Kingston.